The month of March is swiftly passing by and for those of us who live here in New England, that means warm weather is right around the corner. Our four-legged friends will also be pleasantly surprised to find that they can soon spend more time outdoors and maybe even take an extra walk each night. The month of March is also a health-focused month filled with prevention awareness and lots of days dedicated to reminding the public about health and safety concerns. When it comes to dogs, nothing’s more important than caring for their health. Getting active outdoors goes a long way to help improve dexterity, use up extra energy and even improve temperament. Another critical element to a dog’s health is nutrition. Be sure you’re feeding your dog only quality foods that are safe for their digestive system and that are made of good ingredients and void of fillers. While you’re using the extra daylight hours to get out there and be active with your dog, and focused on eating better, it’s also a great time review poison prevention tips. 1. Keep all human prescriptions and OTC drugs far out of reach and in a locked cabinet if possible to stop accidental ingestion. 2. Do not give your dog table scraps. There are far too many dangers with possible ingredients added to these foods to risk poisoning. Stick to foods either prepared specifically for them (with no additional seasonings) or their own usual kibble and treats. 3. Gardening stuff can present a big problem in terms of possible poising for your pet. If they get into toxic plants themselves or ingest things like insecticide it can have fatal consequences. Do not leave anything laying around or leave your pet unsupervised around it. Finally, the end of the month, March 23, brings a fun day to celebrate our little four-legged friends with National Puppy Day. Who doesn’t love a good puppy cuddle? These pets are bringing so much joy to households across the globe and we’ll be dedicating the day in their honor. 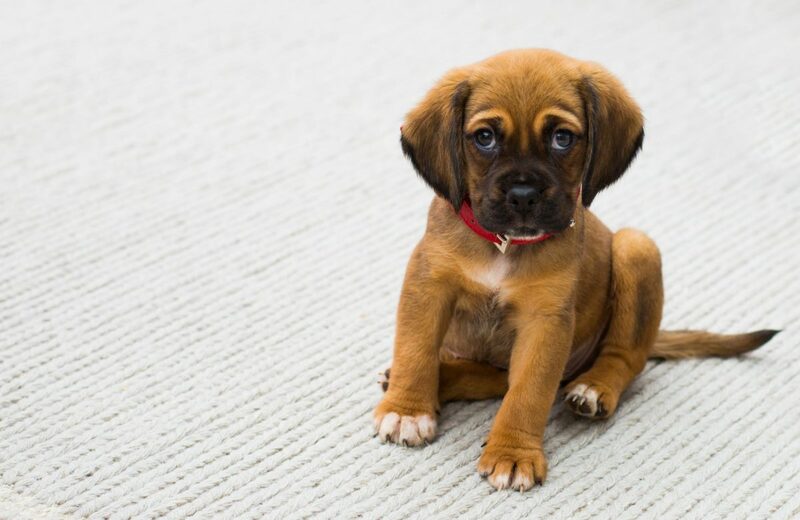 One recent study looking at why puppies are so cute found that the peak of their cuteness actually happens at around 8 weeks. This is perfect timing as it’s also a prime time for when most people are looking to adopt. Have a wonderful rest of the month and as always, if you need assistance with pet containment so you can give your dog some freedom and gain peace of mind, we’re here to help! Next Next post: Dogs Enjoy Spring Weather Just as Much as We Do!